Lat 4° 12' 0S Long 152° 7' 60E Karavia villages, the original village "Karavia No. 1" to the south and newer "Karavia No. 2" to the north border Vulcan and Karavia Bay (Keravia Bay), Simpson Harbor and Rabaul to the north and Blanche Bay and Kokopo to the east and to the north. Some wartime references spell this location as "Keravia". Karavia was occupied by the Japanese January 23, 1942. During the war, docks, facilities, tunnels and camp areas were located in this area. Several gun batteries were emplaced in the surrounding hills. During the Japanese occupation, Karavia Bay was used as an anchorage. During the night of February 18, 1944 five USN destroyers participated in the Battle of Karavia Bay, firing at gun batteries in the area and at 1:24am, torpedoes were fired through the center of the mine field across the entrance to Karavia Bay, in hopes of hitting shipping. 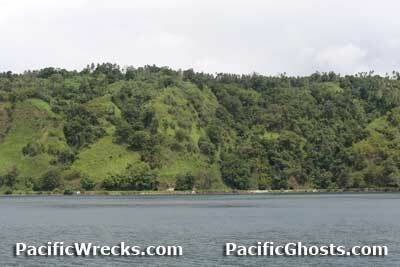 Occupied by the Japanese until September 1945 when Australian forces arrived at Rabaul to accept their surrender. Located at Karavia No. 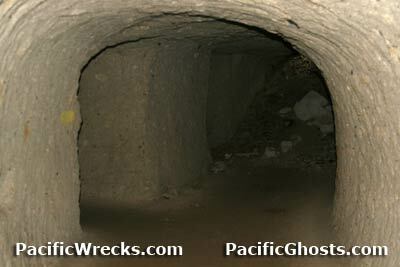 1 is an extensive tunnel system dug by Japanese and POW labor, with multiple entrances (some seal by landslides). Inside, are stairs up and down to several levels. The ceilings are well over 6' tall and evidence of tool marks everywhere along the pumice. Inside are alcoves for torch and electric light and the remains of a pulley system, kitchen and quarters. Reportedly, this was an underground hospital. Locals guide visitors through the tunnels for a fee of 5 Kina. 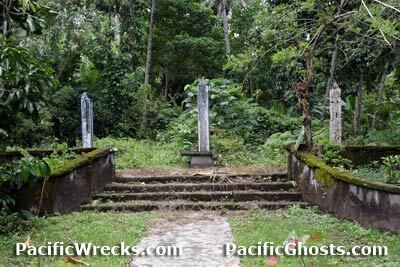 Located near the 'Hospital Tunnel' are three graves markers of Nationalist Chinese executed in Rabaul by the Japanese. Three grave markers are present, but have fallen into disrepair in 2006. Right Grave, Center Grave and Left Grave. 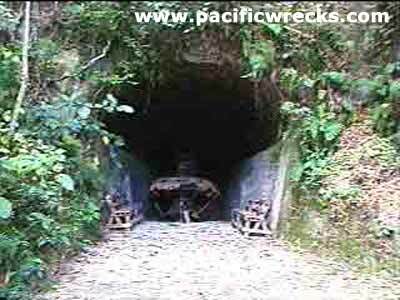 Seven "Barge tunnels" were carved into the hillside by Japanese and Prisoner Of War (POW) labor. Today, six of the tunnels are empty and used for shade for passengers waiting for PMV buses. Today, only one still has barges inside and is a popular tourist attraction. Inside are four Daihatsu Landing Craft capable of being winched down a track into Karavia Bay (Keravia Bay). Locals guide visitors through the tunnels for a fee of 5 Kina. The first barge in the tunnel. It is badly rusted, only the stern remains largely intact. The ramp portion is rusted away and is nearly level with the floor. The pilot's wheel is still present. Second barge in the tunnel. Kanji visible on the pilots armor and #1. After second no more natural light. Better preserved than the first barge. Third barge in the tunnel. Kanji visible on the pilots armor and 4734 at the base of the shield. Better preserved than the first and second barge. Fourth barge in the tunnel, furthest inside. Here the ceiling narrows and it is the best preserved, but is in total darkness, and difficult to photograph.